Turn the ordinary into exceptional! Are you trying to get that authentic Cajun flavour in your cooking or just trying to add a bit more flavour and spice. 4D Flavours sell the Slap Ya Mama online and through retail outlets. 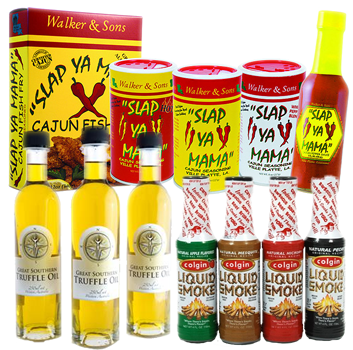 4D Flavours also has an extensive range of Colgin Liquid Smoke and Great Southern Truffle products.